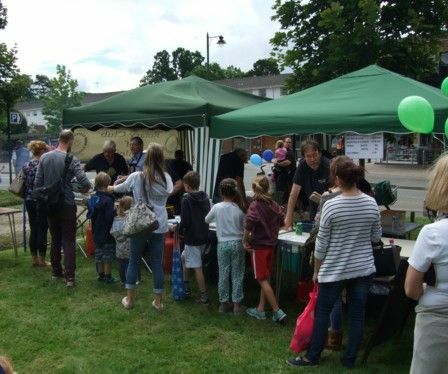 Burgers, bacon rolls and hot dogs attracted long queues at the Rotary stall during the Cranleigh Carnival on 25 June, raising almost £1,200 for Rotary charities. 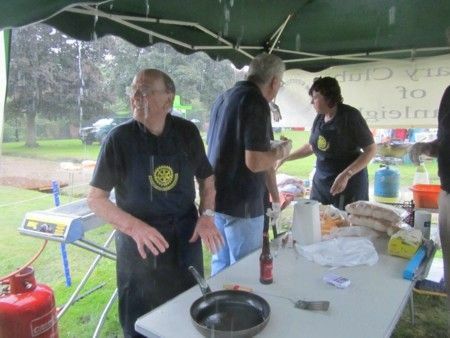 Brian Vine, the lead organiser, said, "This figure is amazing considering the torrential rain that brought the event to a premature end early in the afternoon, when there was still a queue of customers." Well done to all concerned, and many thanks to our local butcher, Rawlings, who provided the delicious meats.